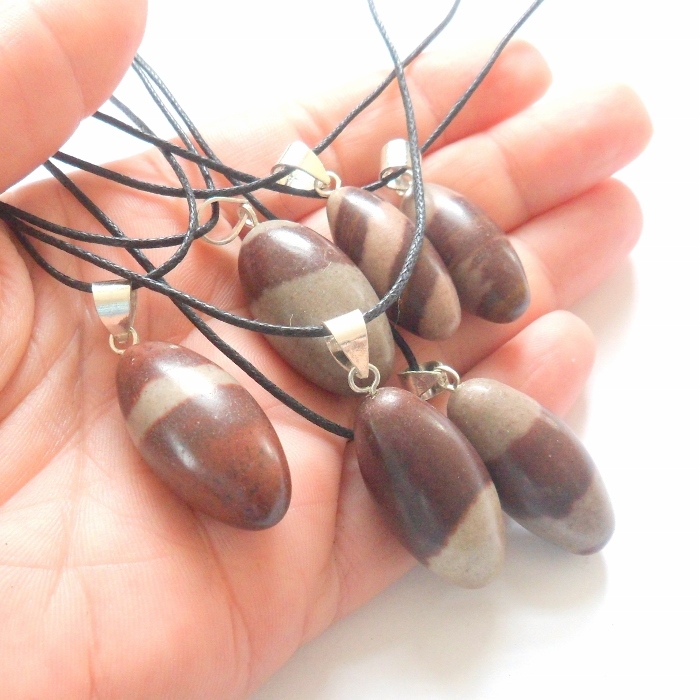 Shiva Lingam unisex necklace set on a sliding knot waxed black cotton cord. 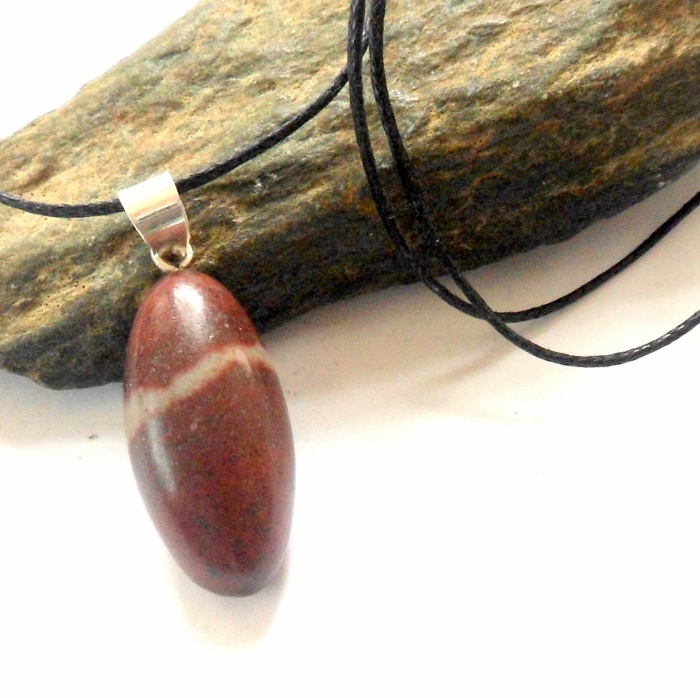 The Shiva Lingam stone is a sacred stone in the Hindu culture. They are a very rare and powerful stone collected once a year exclusively from the Narmada River in Onkar, Mandhata, one of India's seven sacred holy sites. They are formed by from crypto-crystalline quartz, which legends say was implanted in the riverbed by a meteorite millions of years ago. Lingams are representations of the Lord Shiva, and the shape embodies pure masculine energy, dynamic expression and knowledge. The markings on them represent the feminine energy, or the yoni, which signifies wisdom and intuition. These are perfect stones for meditation, healing and protection. 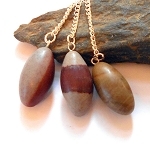 Shiva Lingams are said to contain the loftiest vibrations of all stones on Earth. Their vibrational energy will purify your temple or home. 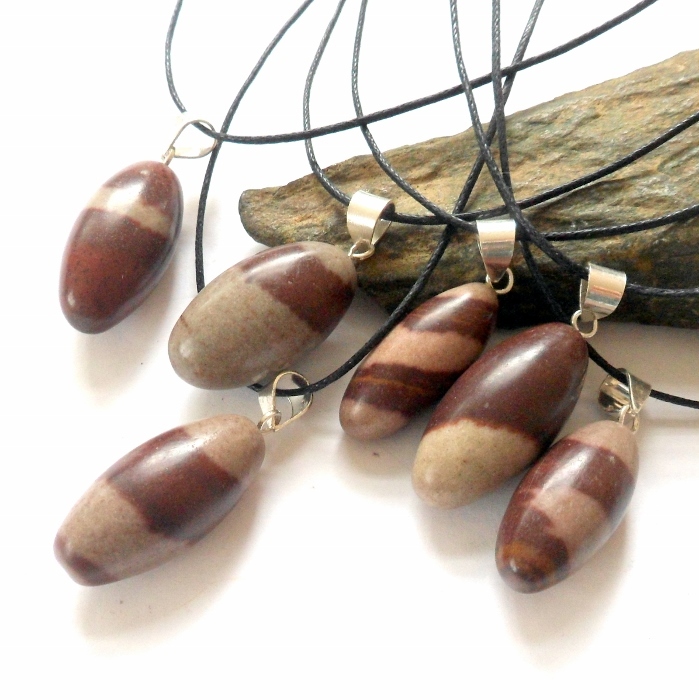 Shiva Lingam pendants are approximately 1 1/2 inches long each and set on a sterling silver bail. Sliding knot cord is adjustable up to about 33 inches. The photo with lots of shivas in it is a representation of the stones I have available and their color variation.